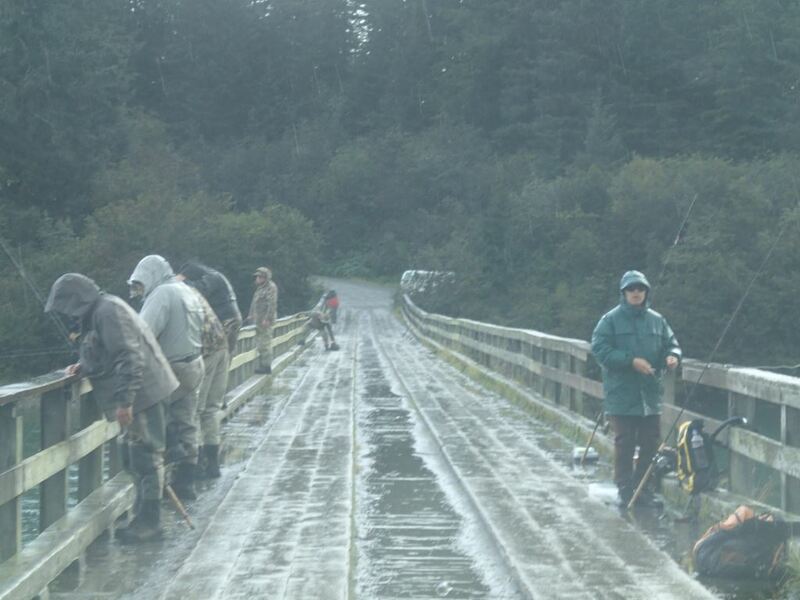 Well, we just crossed the line into August and that brings this dismal and depressing sockeye season to an end. They have 24,000 fish over the weir, beating 2008’s 23,000 (the only other year we have missed the minimum escapement goal). But in 2008, they didn’t close the river the way they did this year, so we managed to beat 2008 only because of the draconian management decisions of Fish and Game. With the sockeye behind us, now we’re looking forward to silvers. I know a lot of you have been anxious through my lack of posts (pretty hard to motivate myself into typing “fishing is terrible” again and again) to know what the silver run is going to do. 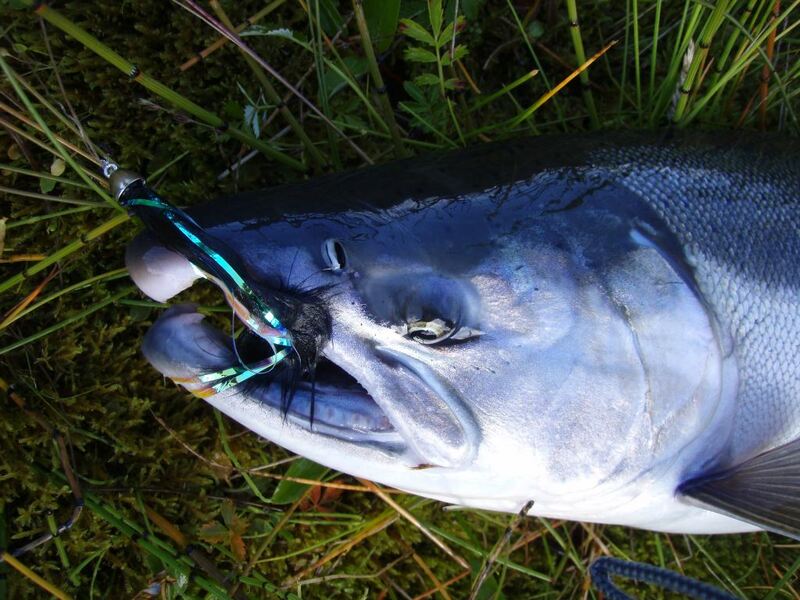 Will it be hit as hard as the sockeye? 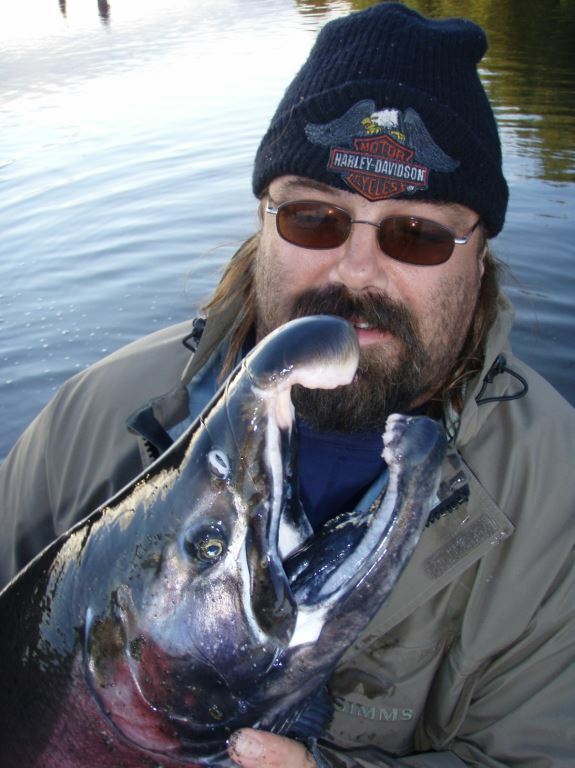 Well, sockeye are unique in many ways. All the other species have different behaviors, different food sources and range in different areas of the ocean. No reason to expect the silver run to be out of the normal. I heard more than 36,000 pinks have passed the weir and we should be seeing 10,000+ every day from here on out. A handful of silvers have gone up and another handful have been landed in the lower river below the weir. That was all in July, so very early in the run and too early to tell if the run is going to be strong, weak, or somewhere in-between. I know plenty have been caught out in the bay on charter boats. 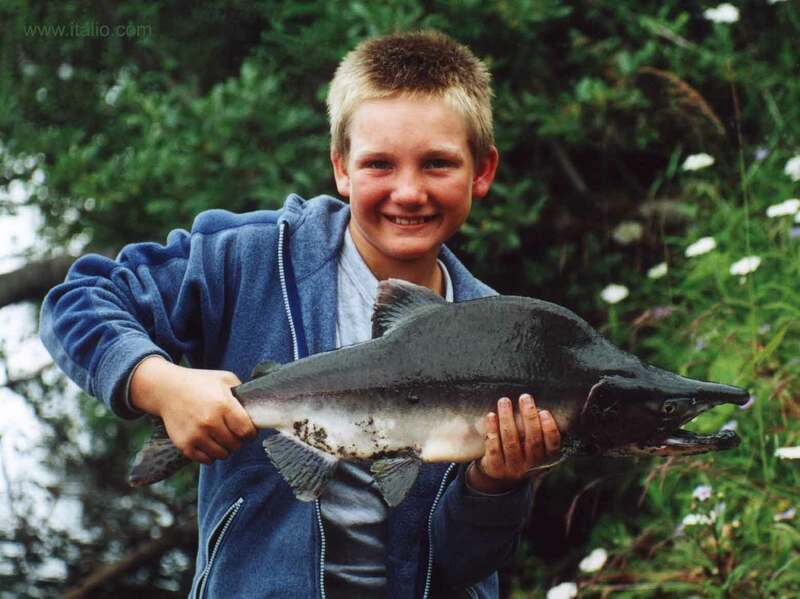 Halibut continues to be exceptional for most, which has really saved a lot of trips this year. A surprisingly few people cancelled their trips even with the river completely closed to fishing. 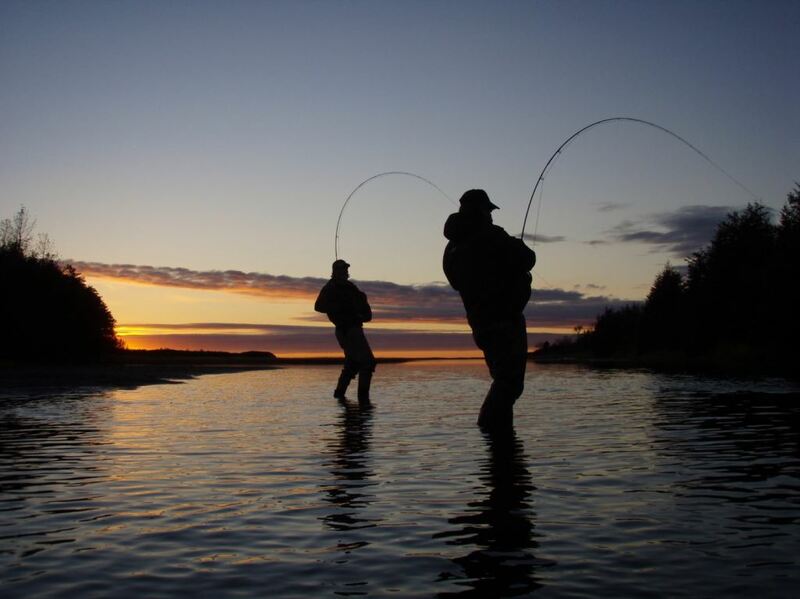 They were able to entertain themselves fishing areas and streams they have never fished and doing a lot on the salt. One thing is for sure… I have never been so excited about the humpy run. At least we have fish in the river now! Boy has this been a slow month in the fly shop. We literally went weeks without seeing any fishermen. I don’t think we sold more than 4 dozen flies in all of July. This is going to be a very skinny winter in Yakutat, with all the revenue lost from both sport and commercial fishing, as well as our empty freezers with no subsistence fishing allowed. Well, that was a bit of a let-down… Instead of 3-4 inches last night, the rain stopped completely around 6am and we didn’t see more than about an inch. Flows didn’t do much, with it topping out around 840 CFS. OK, yes, that is still a lot of water, but we’re forecast now to just have showers every day through the coming week. Heavy at times tonight, but it is completely dry right now. 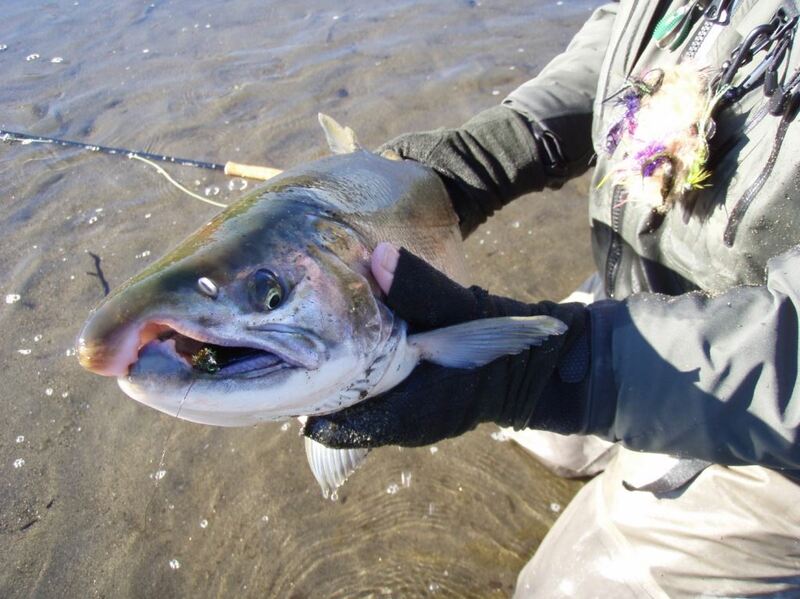 Are Silvers showing up in the rivers yet? I procrastinated answering the question, while I took this last sunny morning to take some friends on a scenic flight over the glaciers. Then other issues arose and I procrastinated some more. Then… a fisherman came in. Yes, an actual fisherman! He needed a specific fly – black and olive Dolly Llama. 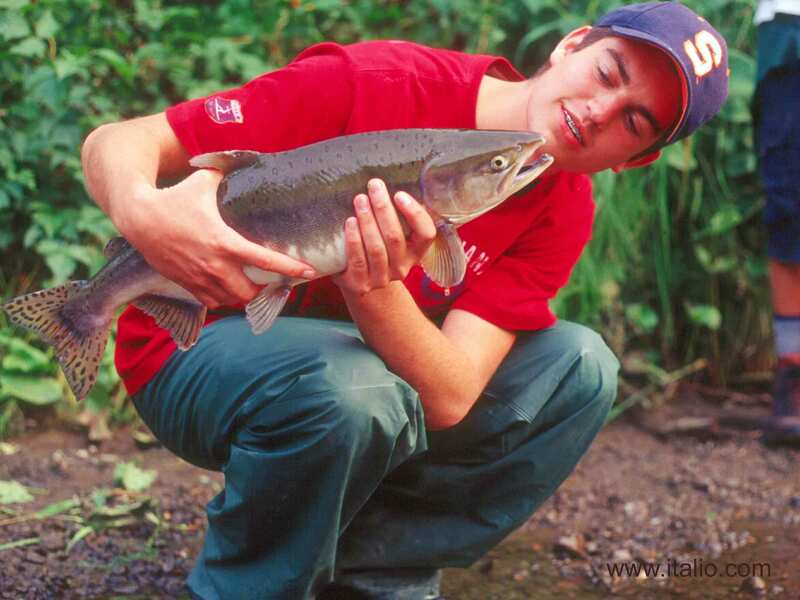 Our first official report of someone catching silvers without having to struggle through the pinks. So, now the answer is “yes”. At least for one guy. We’ll see if this is a trend, or a lucky break. Boy, you fall silver fishermen are getting restless! Lots of anxious calls and e-mails, wanting to get a fresh fishing report. 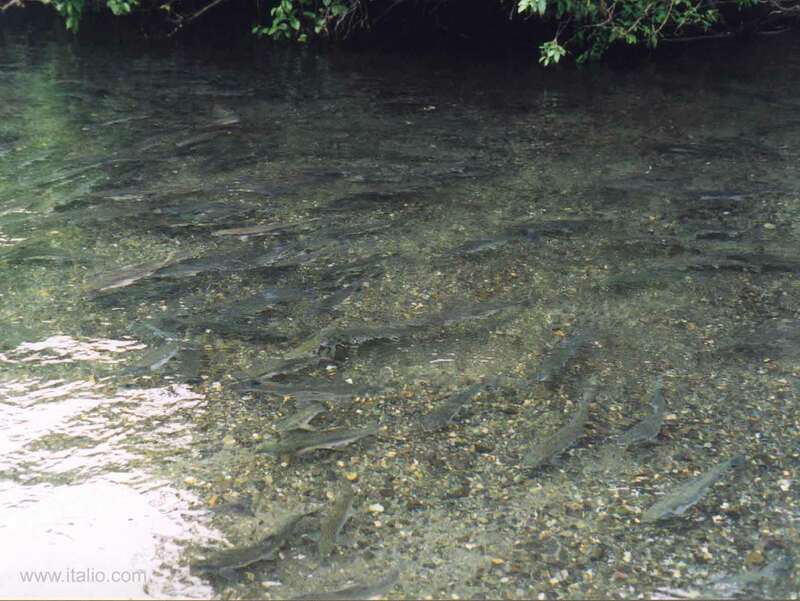 Well, all we really have to report is that there are a TON of pink salmon in most streams. Everything from the East River to Akwe to Situk and Tawah Creek are plugged. Yesterday I flew a scenic flight over Hubbard Glacier and coming back to town over the bay, there were areas around small streams with the bay black with salmon eager to squeeze up into any and every trickle of fresh water. Lots and lots of humpies. 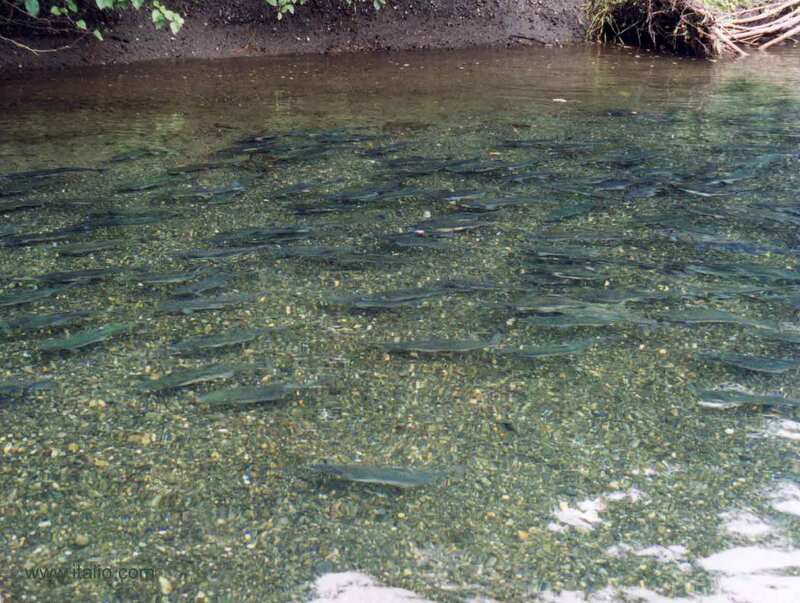 Not to say that’s all we have… still seeing 1,000 to 2,000 sockeye through the weir every day – although yesterday saw nearly 4,000! I talked to a group who floated the Situk yesterday and they had no trouble through most of the float hooking into sockeye. 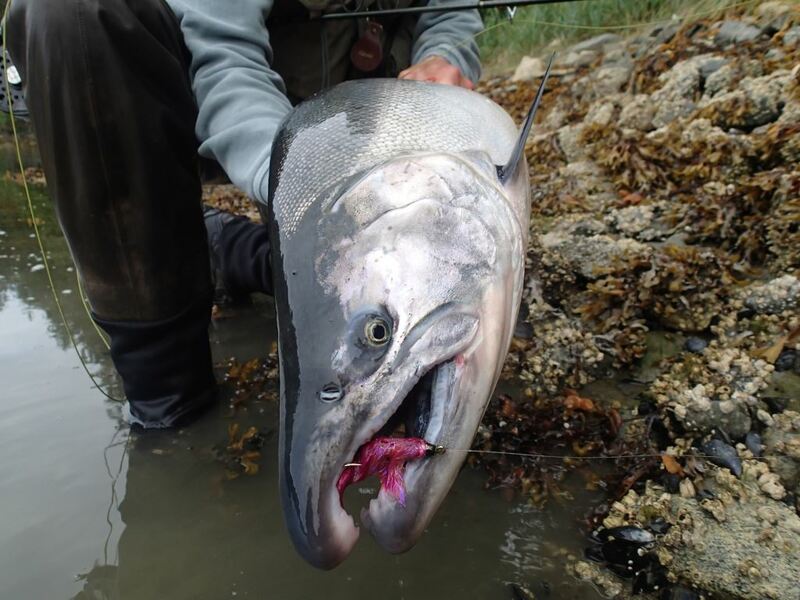 Last weekend for Tanis and I on the Akwe, the ratio of pinks to sockeye dropped significantly, so the sockeye continue while the pinks (at least out there) are already slowing. No sign lately of any early silvers for us on the Italio or Akwe. NONE caught since June in our nets. I have heard of a couple here and there being hooked in the Situk, but not many. We still have a couple weeks to wait for them to start showing in earnest in the fresh water. Out in the bay, the charter boats are getting into a few nice ones though. That’s about all I have to report fishing-wise. I’ll be better with the reports as we get closer to the silver run’s arrival. I had a nice visit yesterday with the first two guys to stay out at Dierick’s Tsiu River Lodge for the season. They were alone on the river for a week, as the run seems to just be starting in. The guide told them he thought the run was a little late, but they had a tough time NOT catching fish! Looking through some of my old coho photos… I’ll post a batch at the bottom. Looks like the run is arriving in the Tsiu, so it’ll be working its way down the coast to the Situk and the rest of the rivers shortly. Not a lot of silvers in the Situk yet, but a few. 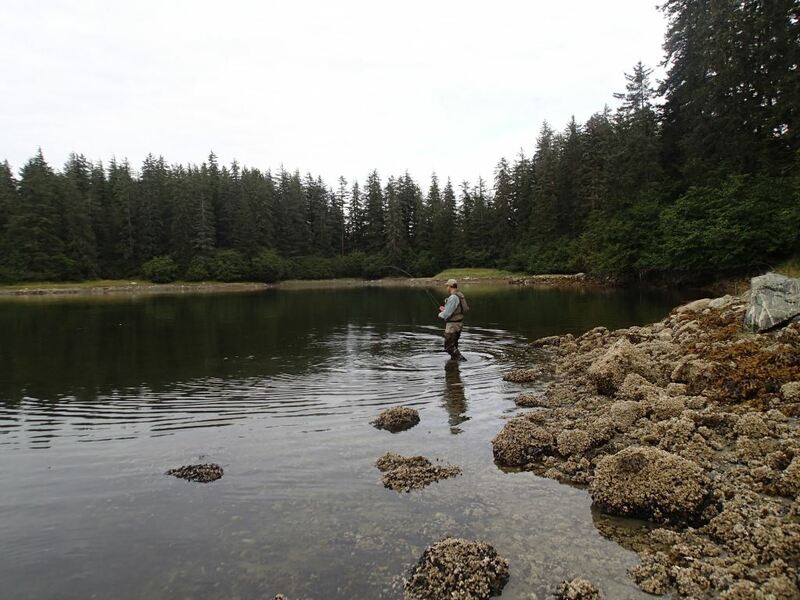 Enough that if you want to weed through the pinks, you can catch your share of fresh coho. 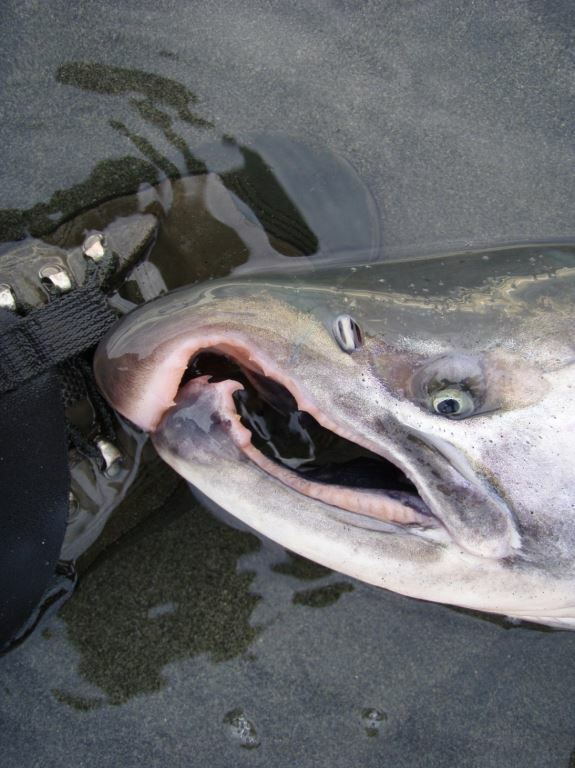 With that said, one of our steelhead friends sent me a link to his video from this spring. Tiziano made a GREAT video of his trip last year, so I’d have high expectations from this one. It is worth it! Last year, they arrived just before the torrential rains hit and blew the river out to over 3,000 CFS. This year, they were faced with 35 CFS when they arrived. That’s fishin’. For those of you getting this on e-mail, the video from Vimeo doesn’t embed in the subscription e-mail. Here is the link if you want to watch it. Like I said, it is worth it!